Cabin 64 - Now Available for Rental! Check out the New Features in Cabin 5! Check out the newest addition to the Oak Haven Family - Cabin 64! Cabin 64 is a brand new 2 bedroom, 2 1/2 bath cabin. 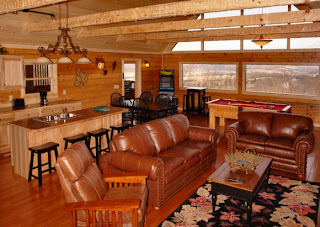 Click Here to see a full list of cabin 64's amenities as well as photos!